Building and Land Technology has officially launched its newly branded Silicon Harbor office complex and is embarking on a transformation of the 500,000-square-foot facility overlooking Long Island Sound at 1 Elmcroft Road within the Harbor Point redevelopment project. Situated at the tip of the South End peninsula, Silicon Harbor offers views of Kosciuszko Park, Stamford Harbor, and Long Island Sound. BLT acquired the property during the summer and plans to redevelop the building, providing unique office space opportunities within a “Live, Work, Play” community. Harbor Point is the waterfront mixed-use development in which BLT has built thousands of apartments, a diverse retail and restaurant scene, and brand new modern office space over the past several years. BLT has already relocated its own corporate offices to Silicon Harbor, moving from 2200 Atlantic Street. It has previously been located at 901 Main Avenue in Norwalk with the Towers at Merritt River, which BLT also built. The space at 2200 Atlantic Street was freed to accommodate Bridgewater Associates, which recently took more than 100,000 square feet of office space. Other new office tenants at Harbor Point include MC Credit Partners and Waypoint Residential. The office space within Harbor Point, which includes 2200 Atlantic, 100 Washington Boulevard, 7 Market Street, 711 Canal Street, and 1 StarPoint, is now 100 percent leased as a result of tenant demand, according to a press release issued Monday by BLT. “Reaching 100 percent occupancy in the offices at Harbor Point is a significant achievement for us, and for the city. 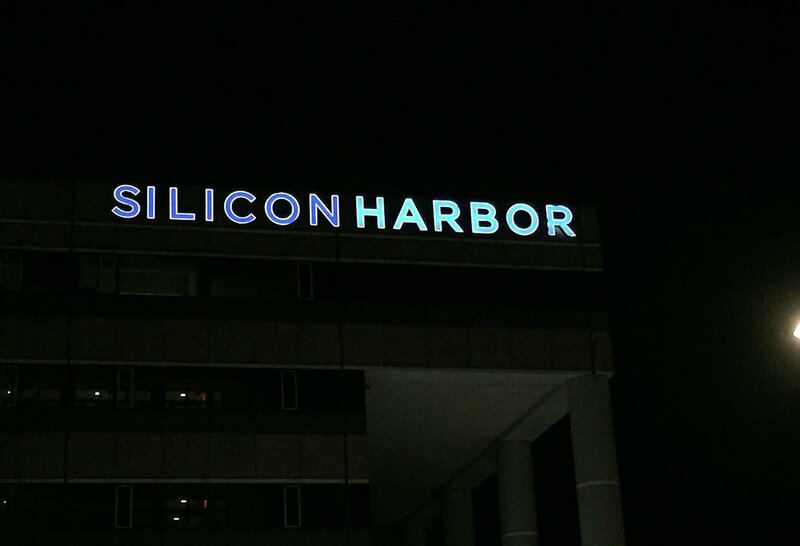 We believe this activity bodes well for Silicon Harbor,” Kuehner said.